Essence at the price of matt lacquer? Now you can! 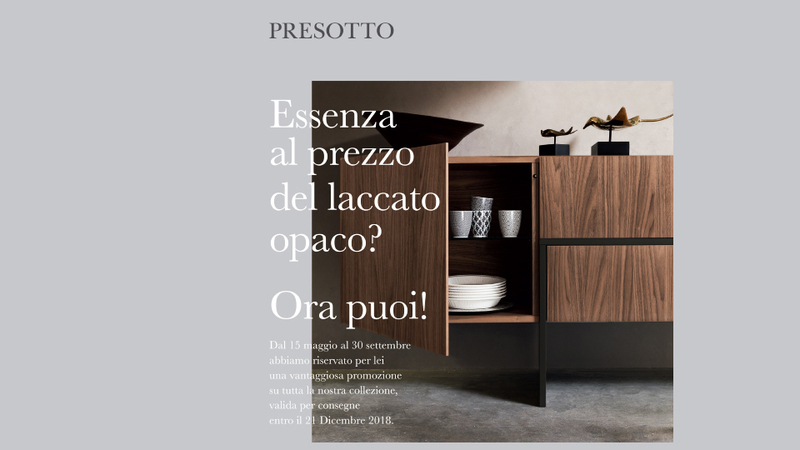 From May 15th to September 30th Presotto has reserved for you an advantageous promotion valid on the whole collection and for deliveries by December 21st 2018. Come and discover all the details of the offer in our sshowrooms in Ispica and Ragusa!